Some recipes require a lot of chopping, sauteeing, baking, what have you. This little gem requires nothing. Nisht. Nada. Just get the ingredients, stir them together and VOILA. It’s not the most healthful thing in the world, but it’s quick and fresh tasting. Let me report that this savory dish flew off the buffet I just brought it to … fortunately I had made a second pan full. Everyone wanted the recipe…and so I present to you SUMMER SAVORY CORN PUDDING. It could just as well be a dinner item, and leftovers reheat beautifully. Make it while there is fresh, succulent sweet corn at the market. And because it is a bit drab in the old appearance department (golden yellowish brown), slice some ripe tomatoes to serve alongside or include other side dishes with pretty colors. 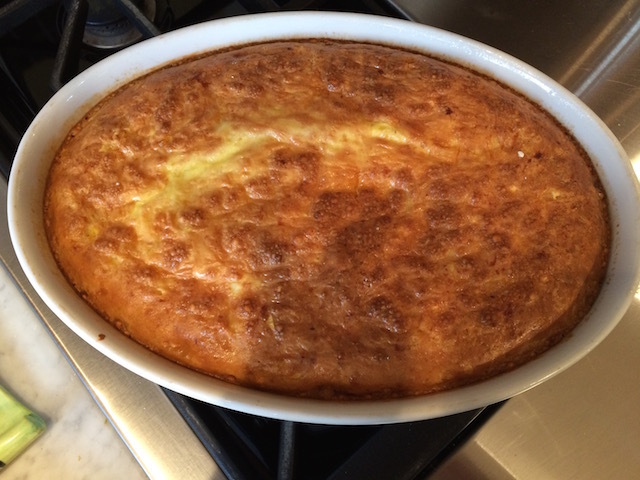 I try to use an oval, ceramic dish to bake my corn pudding – like the one pictured. I find it much more appealing than preparing it in a clear glass pyrex container. It’s like night and day really. Preheat oven to 375 and put the rack mid oven. Spray an 9 x 12 baking dish. Whisk the eggs in a large bowl to blend, stir in dry ingredients but DO NOT add THE CANNED AND FRESH CORN until the end. Whisk to blend, adding both types of corn last. Pour into the prepared pan and bake until the top is golden brown and a knife inserted into the center comes out clean, about 1 hour and 10 minutes. PS: I have been known to make this in the winter months using frozen corn kernels, defrosted and drained on paper towels. It is still a wonderful thing but not as tasty as when you make it from sweet corn just cut off the cob. PPS: It kind of grosses me out to be using creamed corn from a can! I never, ever use canned vegetables and I’m including the creamed corn here as an option for you. However, next time I am going to measure out 1 ½ additional cups of fresh corn, puree it slightly then add ½ cup of milk and 1 teaspoon of cornstarch to thicken it slightly. 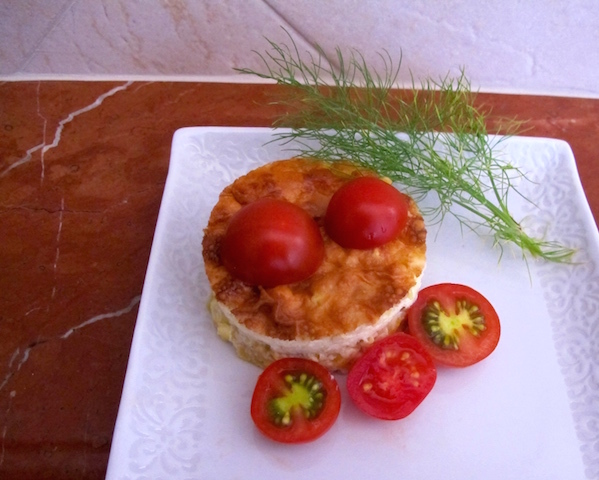 This entry was posted in Breakfast, Side Dish and tagged summer savory corn pudding. Bookmark the permalink.